Resource Techniques is an award winning website design agency	that specialise in designing and building beautiful and easy to use websites for estate agents . We have been helping our estate agency clients gain greater market share with intelligent digital marketing solutions for over 15 years. Today, research shows that over 80% of all enquiries to an estate agent are generated online, that's 8 out of 10 buyers and perhaps more importantly sellers that engage with you first online. A scary prospect when you look at some estate agents websites. Having the highest Google ranking, most beautifully designed and best functioning website in town is critical to every modern property business. Your website is a 24/7 shop window to your business, it’s more often than not the only touch point a potential vendor will experience of your brand, your personality and business offering. So getting this right has never been more important. Lead generation can be tough, so when considering your website, think about how important the internet has become, more particularly where we all start our search for just about everything… Google is used as an adjective for a very good reason, as we ‘Google’ something not ‘research’ it. Google should be, NO! has to be a primary consideration for every business, if you don’t rank highly in Google, the chances of gaining internet leads is remote. For this reason, Google optimisation of our clients sites is seen as being as important as its design and functionality, for as good as any website it, if potential visitors can’t find you, it’s not really worth having. Our original objective and strategy for our new website business back in the early 2000s, was to offer good value products without compromising on the quality of design and importantly that included on-site SEO (Search Engine Optimisation) . This wasn’t, and surprisingly still often isn’t carried out by the design agency but done after the site is live by a third party SEO agency (meaning many clients pay twice for their site). It was for this reason that we started building websites, that didn’t simply look great but ranked well within Google and not just when the site is first made live but ensuring that as Google change their algorithm the site is improved to reflect this change, continually for the life of the site. Our website products are offered on a full service basis. Which means we never nickel and dime our customers. A website should be an ever evolving marketing tool, which helps you develop your business and brand. Any obstacle to this, price being the main factor, limits the client’s inclination to develop their website. For this reason, our full service product is completely flexible, with all site additions or changes (as often and as many as you like), are included in our monthly service charge. This strategy, of helping our clients build their online presence by offering a great product at a fair price that includes everything, including SEO, site changes, hosting, support and advice. Today and as a consequence of this strategy, our business has flourished, but we never forget our commitment to our clients and still today our values of fairness of price and our full service based products remains. Our business proposition today is, as you might imagine, centred around the ever changing world of technology. The internet has developed and evolved beyond anything we could have imagined just 10 years ago. Who could have predicted that technology would have become such an integral part of our everyday lives, and just how much we, as both individuals and business owners, would become so entirely beholden on all things web. Fuelled by this lightning fast pace of technological advancements, we are totally focused on enabling and ensuring that our clients are at the forefront of technology. To this end we have a dedicated team of tech savvy professionals that follow this ever changing landscape, identifying new technologies and where we can use this to improve our business offering. This, unlike most web design agencies, does not simply apply to new clients, as our foundation layer of technology is the backbone to all of our website products and is available to all clients, existing and new. So if Google make a change to their algorithm (which they do on average almost every day) and this is likely to have a negative impact on our client's websites, then it is identified; a fix is made and then rolled out to all of our website customers. This web smart strategy allows our clients to benefit from a constantly updated product and a degree of future proofness that is rare within the industry. 1) Does your site rank on Google? 2) Does your website work properly on all devices? Smartphone, tablet, PC. 3) How does your site compare with your competition? 4) Does your website have the wow factor? If you are unsure we offer a full and FREE website review to help you understand if your site is good, bad or even ugly. What will my new site do that my old one doesn't? You only have to think about your own experience using the web. The vast majority of internet users start their journey at Google's search engine, typing the search phrase that most matches what they are looking for. Google then lists the results for the key phrase and most users start at the top of the list and work down until they find a site that is the most relevant to their requirements... Sounds simple doesn't it. But for all this to work for your own site, the site has to be well optimised for Google to allow for all of the potential search phrases that the general public might search for and even then if your site is lucky enough to be listed, it has to be 'sticky' enough for users to not click the back button and go to the next site listed by Google (i.e. your competition). So in a nut shell, your new site will be optimised and easily searchable, be sticky enough to wow and engage your potential clients and awesome enough to make them want to keep coming back. Our estate agency websites are beautiful but not only that, they are also built with the user in mind. We offer both bespoke and template solutions to accommodate for your needs and requirements online. Our professional design and development team will help you to achieve a modern, easy to use website that your customers will love. Responsive website design is a website specifically built to work across a wide range of smartphones, tablets, phablets, laptops and desktop computers without affecting the quality of the design or user-experience. As more and more of your clients are finding your website via mobile devices, it is vital that you have one website that works on all devices. Not only is it important to have a responsive website for the users but also for Google as they are now favouring sites which have been built using mobile responsive design over those who haven’t. This means that if your site isn’t crafted with the intent of being viewed on not only a desktop computer, but also a laptop, a tablet or a mobile phone then it’s likely that you won’t show up highly on search engines, and you’re therefore a lot less likely to be viewed by new customers. 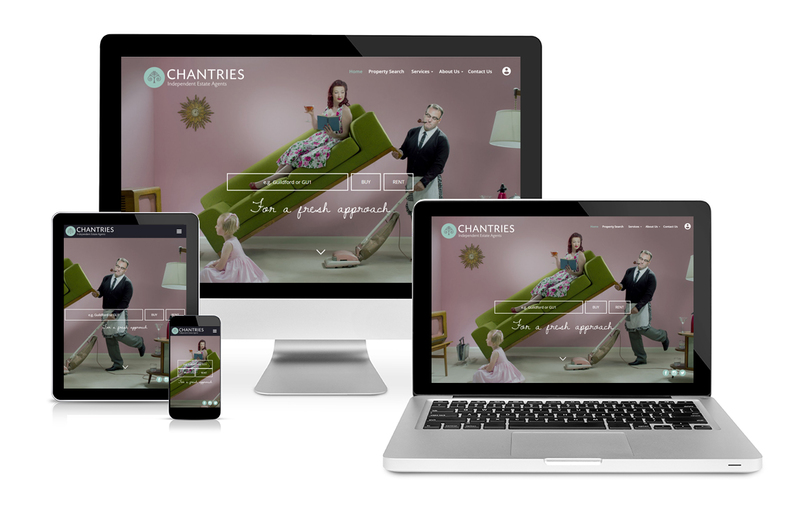 All of our websites are built fully responsive which means they will adjust to any size screen without impacting the quality of the site so whether your customers are viewing your website from a mobile, tablet or desktop your website will deliver a high quality performance for all your users. Your website MUST be easy to use, as it enables vendors and landlords to see who you are and what you have to offer. Our websites are designed with the users in mind to ensure that your customers will get the best experience possible when visiting your website. Design can only take you so far online. 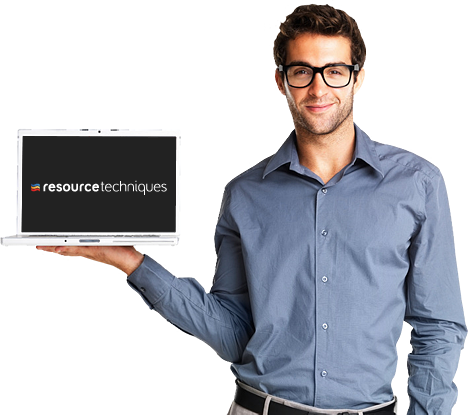 Here at Resource Techniques we aim to offer a great product without compromising on the quality of design or neglecting the on-site SEO (Search Engine Optimisation). Surprisingly SEO is still a second-hand thought during the website build, and in many cases is often not carried out by the design agency but done after the site is live by a third party SEO agency (meaning many clients pay twice for their site). It is for this reason that we started building websites on a full service basis, not just thinking about the design but also the SEO and user-experience. This is why all of our websites are fully optimised for SEO to ensure your website achieves a high, page one ranking within Google. We have a proven track record of achieving high Google rankings for our clients; with over 93% of them being found on page one for their chosen keywords. It is important that you maintain some control over your website so that you can add new content and make changes to existing pages quickly and easily. Despite our content management services being very user-friendly, we understand that you may occasionally need help with some changes to your site. We have a dedicated web support team to help you with any queries you may have, via phone or email. So if you aren’t very tech-savvy or just too busy, our support staff has you covered. Hundreds of customers have trusted in the service that we provide for many years. We take the time to understand your business, which allows us to offer affordable solutions to suit your exact needs. We are very passionate about what we do and pride ourselves on doing a great job. Check out our Portfolio page to see what our clients say about us. So whether you require a free website review of your current website to see how well it is performing or if you want to find out how Resource Techniques can make your website truly awesome, get in contact with our team and we will help with any queries you have. If you are unsure about how your website is performing, why not request a free, no obligation website appraisal. Our team will review your website in-depth and give you honest and helpful advice on how you can get more out of your website! How does your site currently perform? please contact our website team. Contact our web design team! Visit our website portfolio!